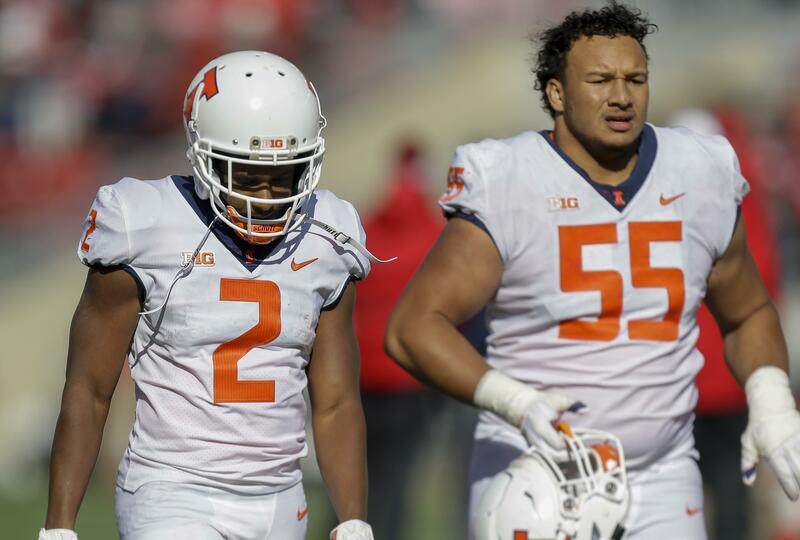 Illinois running back Reggie Corbin (2) and offensive lineman Kendrick Green walk off the field after losing 49-20 to Wisconsin Saturday at Madison. 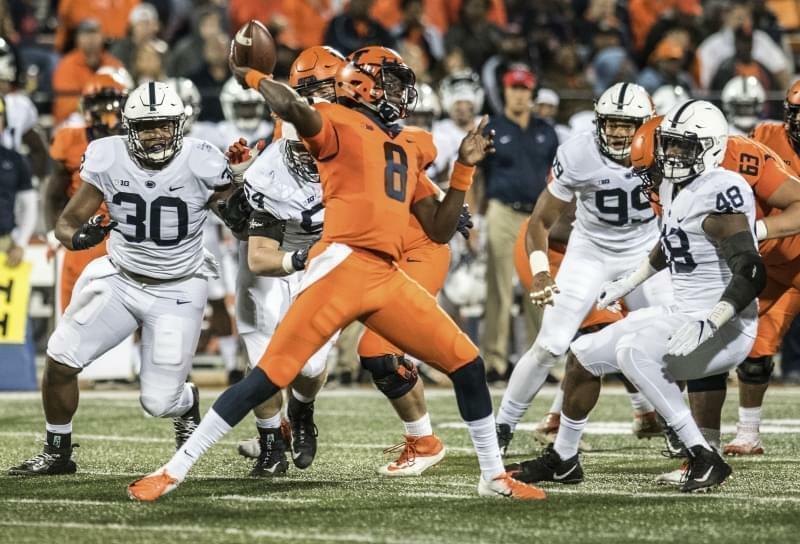 Illinois suffered a 49-20 loss to No. 23 Wisconsin at Madison on Saturday, allowing the Badgers to maintain hopes of a West Division football title and a return to the Big Ten championship game. 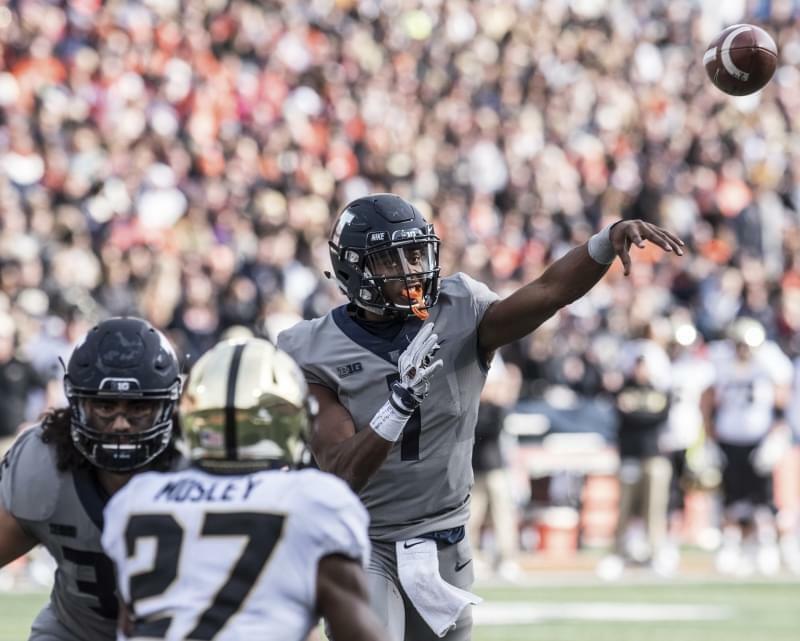 Jonathan Taylor rushed for 159 yards and Taiwan Deal ran for 111 yards and two touchdowns as the Badgers took advantage of five first-half turnovers to win the game. Wisconsin (5-2, 3-1 Big Ten) was coming off a devastating 38-13 loss at Michigan that buried its national championship hopes. Next week the Badgers face a division matchup at Northwestern (4-3, 4-1), which rallied to edge Rutgers 18-15 on Saturday. 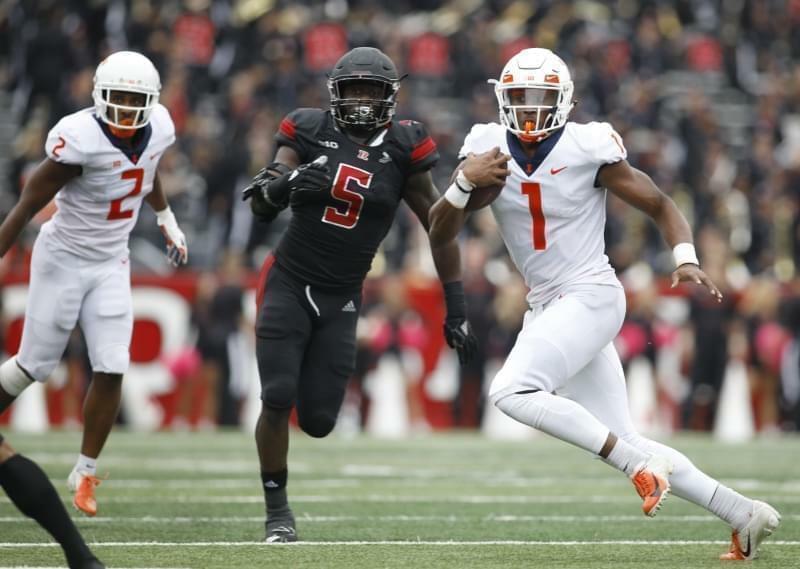 Illinois plays the Maryland Terrapins, Saturday at 2:30 PM at Maryland Stadium in College Park. Wisconsin trails Northwestern by a half-game in the Big Ten West Division and plays the Wildcats on the road next week.